I have very fond memories of my grandmother making caramel candy apples during the holiday seasons. My brothers and I would watch closely as she would dipped super sweet apples in a buttery warm caramel mixture. 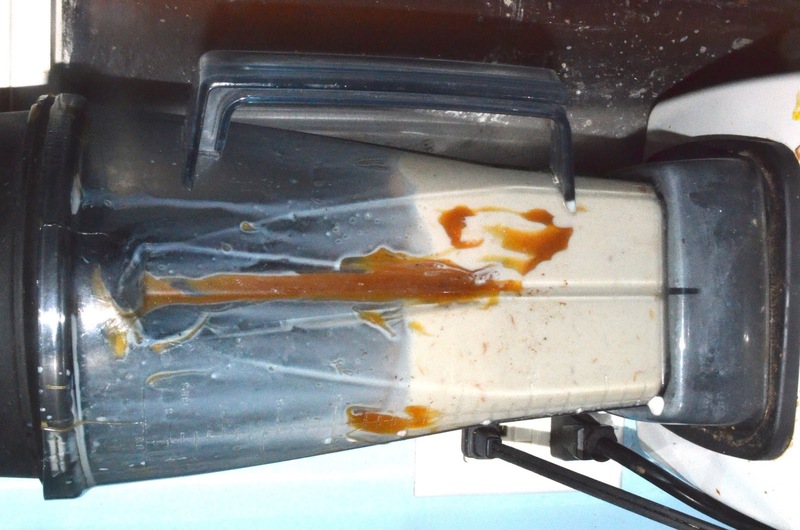 Well the other day I tried a salted carmel popsicle from a local grocery store. The taste was a nice mixture of sugary and sweet with a nice coolness that satisfied my sweet tooth. I don't want to pay $3.00 for a gourmet popsicle, so I decided to make it myself. I immediately looked online for a recipe. 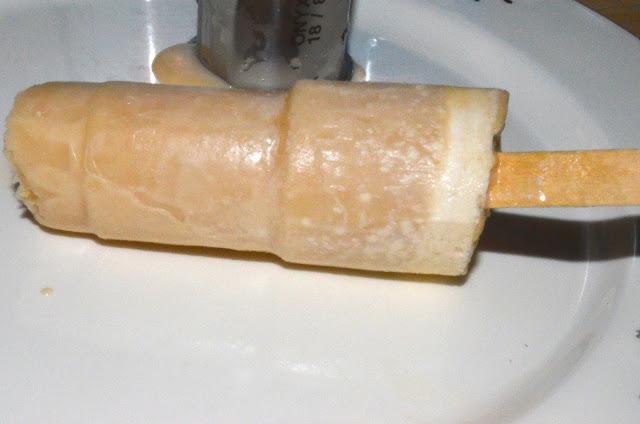 I found a few recipes for salted caramel ice cream, a couple for actual popsicles. 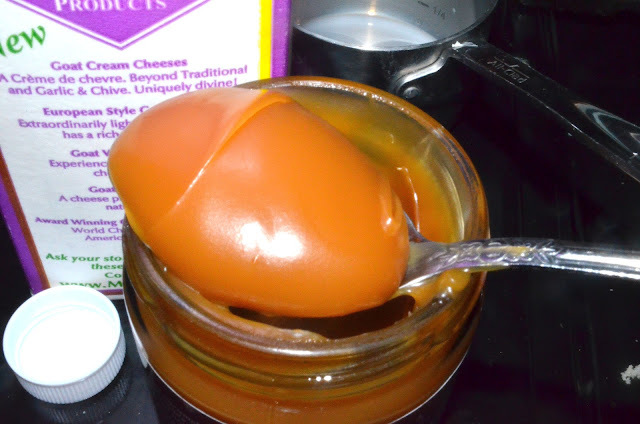 I didn't want to make caramel form scratch, so I purchased King's Cupboard cream caramel instead. Dh sad that they where better than the one's I bought plus baby boy loved them. I got the cost down to right under $0.90 each, so this will be our family new cheap cheat snack. SIDENOTE: I added 3 apples to my second batch. This added a nice apple flavor and of course brought back child hood memories. Be sure to take the seeds and core out before blending it with the other ingredients. Put all ingredients in a blender and blend until well mixed. Pour into popsicles molds. Then freeze for several hours until frozen. How cool a frugal treat I love it. I need to post this 1 on my blig. 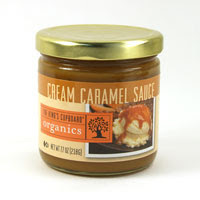 Mmm...I LOVE all things salted caramel...I would love this!